Detailed information on the ancient and coveted method of Enfleurage was not easily found, so we studied paintings, photos of paintings, and other artistic renditions from the 18th century, such as this scene below, in order to get an idea of how it was done. Enfleurage is the French term for an ancient, labor intensive, and all-but vanished, technique in which a fat is used to absorb scent from fresh exhaling flowers. Enfleurage captures the most delicate components of scent and the most comprehensive spectrum of scent molecules. Lilac does not lend itself to distillation and other methods collect only fractions of the scent and leave behind or destroy certain elements. 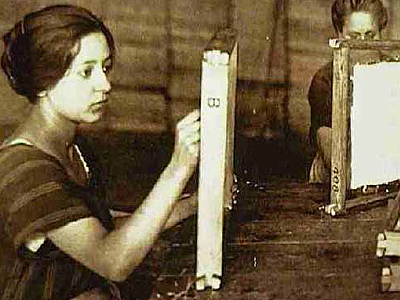 Traditional Enfleurage yields the most authentic essential oil of lilac. 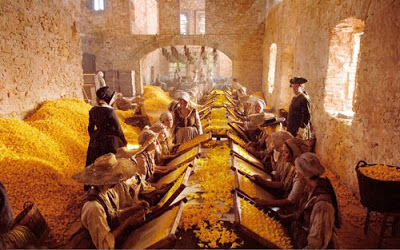 Throughout the season you may visit us and witness this age old process in action. 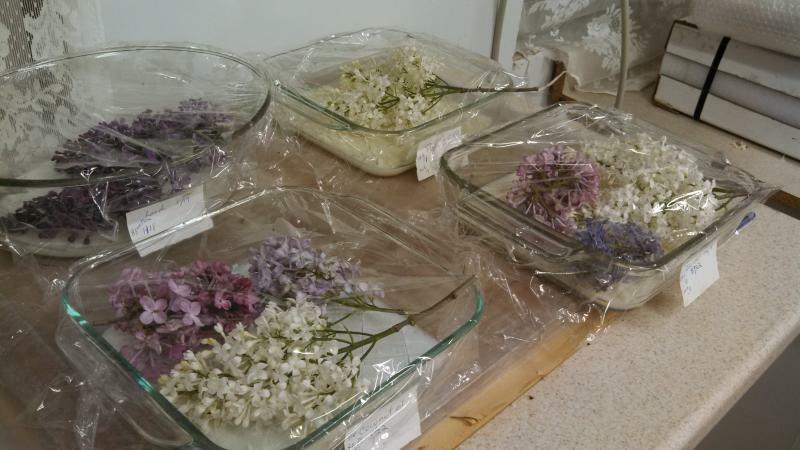 In our Enfleurage studio, fresh lilacs are placed in fat substrate where the lovely lilac scent is captured in the fat molecules. We use all organically grown and harvested fats such as Shea, Palm Kernel, Cocoa and Coconut butter. Every day for a 33 day cycle, we painstakingly replace the hand picked lilac blossums with fresh blossums, so the fragrance is intoxicatingly authentic. We encourage visitors to come to the Enfleurage Studio to "catch a whiff" of our production area and experience some of our precious therapeutic lilac pomade. It is a rare treat for the senses. 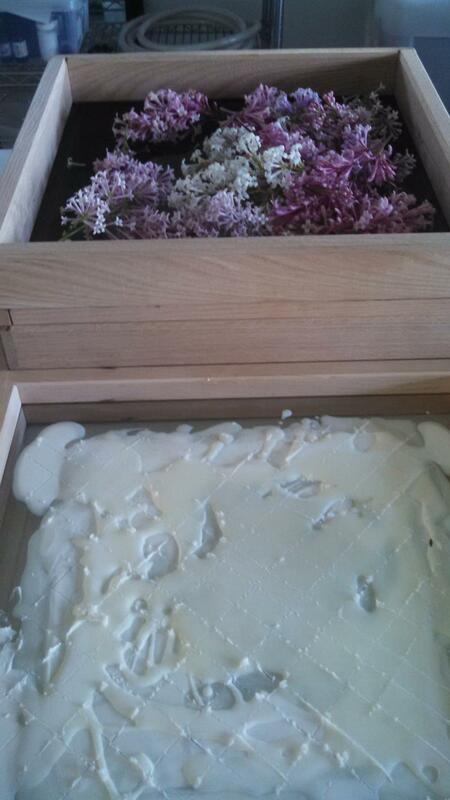 Below is Palabin, a fragrant late blooming lilac on a bed of sustainably grown Palm butter. 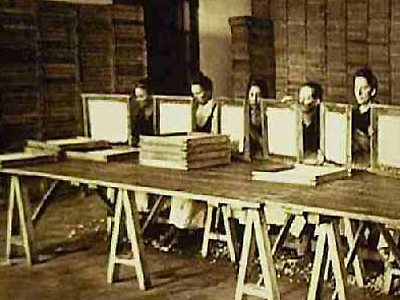 ﻿Below is a photo of our Enfleurage Studio In the beginning days of the season, the glass frames, called chassis, are spread with palm kernel oil or shea butter. 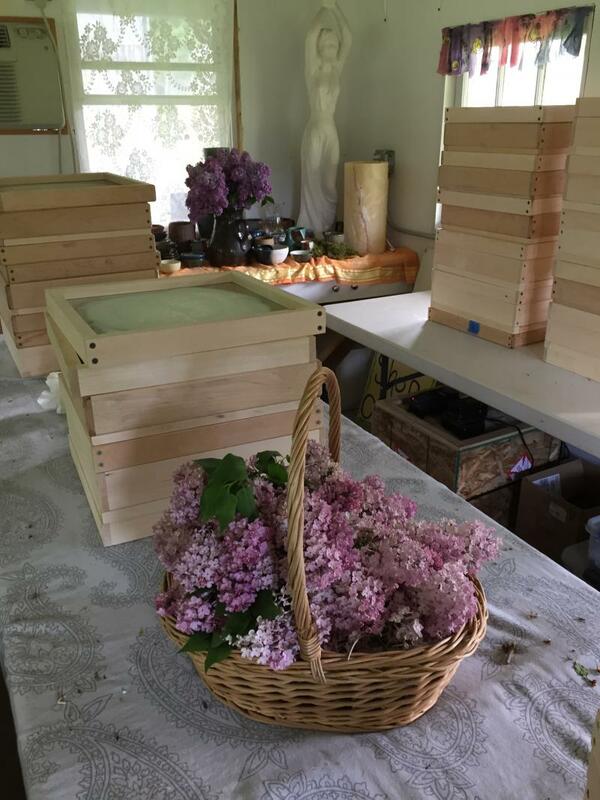 Every day the chassis are loaded with fresh lilac flowers. Flowers from the day before are discarded. What a lovely job, smell-testing the trees as we walk through the field, picking bushels of the finest quality lilac flowers. 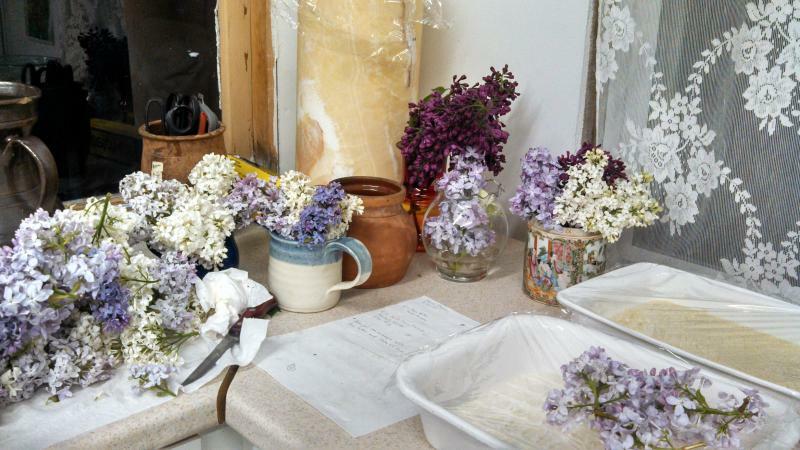 It's a wonderful place to work and create Lilac Enfleurage. The air smells great and colors are fabulous too. Copyright 2014 Cherry Valley Lilacs at Bates Hop House. All rights reserved.